Be the first to share your favorite memory, photo or story of Mollie. This memorial page is dedicated for family, friends and future generations to celebrate the life of their loved one. Mollie Luella Moser was born on August 5, 1925 in Wichita, Kansas the daughter of Roy Edward and Luella Pearl (Lucas) Carey. Mollie grew up south of Fargo, and attended a country school. Her family moved to Woodward her sixth grade year, she then attended Woodward schools. She was united in marriage to Shelby Vernon Moser on September 30, 1945 in Woodward, where they made their home. After the tornado hit Woodward, Mollie and Shelby moved to a farm south of town where she resided until her death. She worked for Tregoâ€™s Western Wear as a leather designer, she then worked as the produce manager at Safeway until her retirement. Her and Shelby also owned and operated a lumber yard. To send flowers or a remembrance gift to the family of Mollie Luella Moser, please visit our Tribute Store. 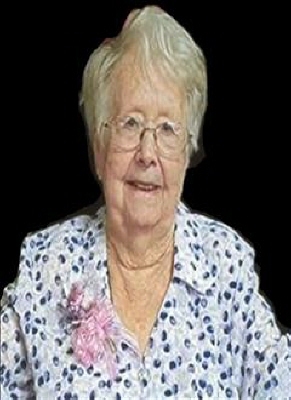 "Email Address" would like to share the life celebration of Mollie Luella Moser. Click on the "link" to go to share a favorite memory or leave a condolence message for the family.